Triopo's mounting adapter for the F1 series (which has a Profoto mount) lets you 'focus' and 'zoom' Bowens S-type light shapers. You might have already seen some new adapters letting you fit Profoto light shaping tools to the Godox Witstro AD200 and to the AD400 Pro. It’s cool idea, to be able to attach some fancy, specialised and high-end softboxes and the like to cheap, portable flashes. And now for something completely different. Triopo—a company whose latest Oubao-brand TTL monolights are (trying to be) almost exact clones of the Profoto B1 series—showed us this week a Bowens S-type adapter for Profoto-style flash heads. The adapter is designed to let you put any S-fit modifier on a Profoto-fit light, complete with ‘zoom’ or focusing function, by way of sliding the ring back and forth to change the beam angle of the light. Here is a light without the adapter. 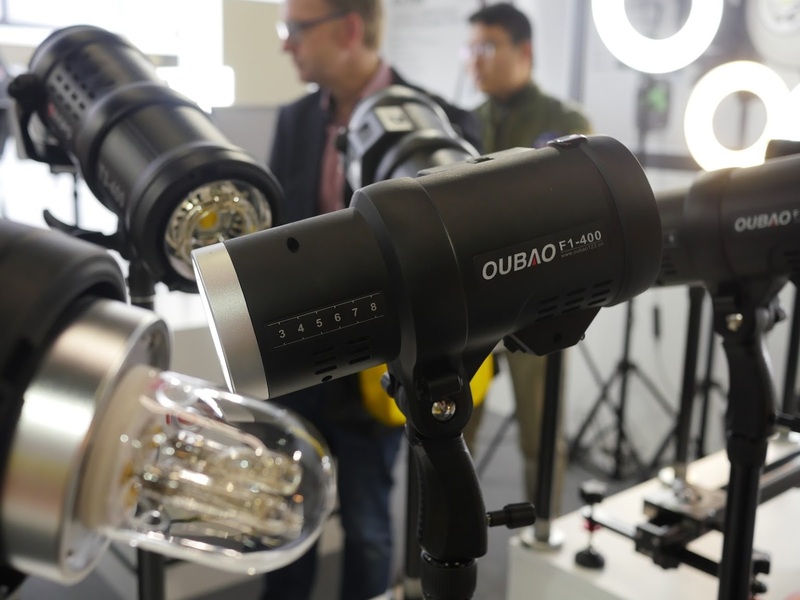 As you can see, the Oubao F1-400 has a Profoto-style head, with markings along the side for reference when adjusting the position of attachments. In the background you can see an older T-series flash with a static Bowens S bayonet. 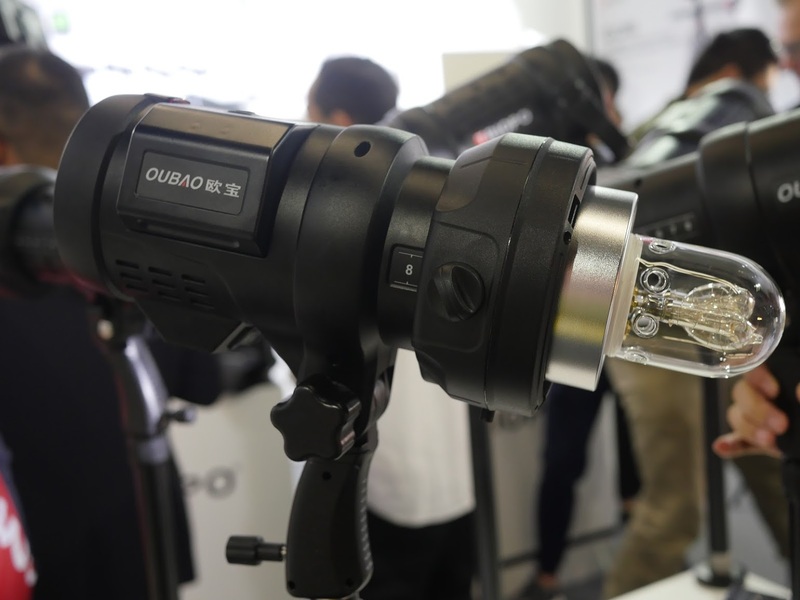 The new Bowens adapter appears to be bundled with all new Oubao/Triopo/Neewer F1-400 and F1-600 flashes, which are battery powered, with manual control and TTL functionality for Canon and Nikon, via the G1 triggering system. Let us know what you think in the comments below. 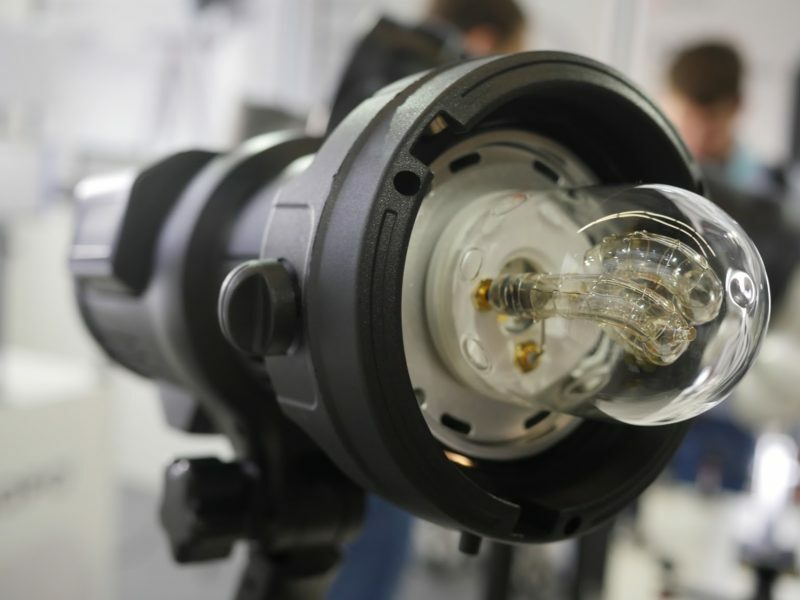 Would you fit Bowens mods to a Profoto (or Profoto-shaped) light?